The trend of online shopping is increasing day by day. There are many websites which are offering a lot of products for sale. In countries like United States, almost everyone prefer to buy online from E-Commerce giants like Amazon or Ebay rather than buying from their local market. Also, in developing countries like India, more and more people are buying a variety of products online. There are some well reputable Indian Stores such as Flipkart, Myntra, Infibeam, Homeshop18, Snapdeal and Naaptol which are offering great discounts and deals on products. Where online Shopping is easy and simple as compared to going physically to Stores, there it also has some limitations. In online shopping, you can get some product just sitting down at your Home and get that product at your door step. Also there price of products is much less as compared Physical Stores because you also get various Saving Discounts and Coupons and sometimes that Product is not available in your local market (Such as Nexus 7, Nexus 4 and Nexus 10). While there are also possibilities that you may get crap product which is not as same as what was offered by the store, or you may not get product at desired time and sometimes you may not get any product. Though it happens not so often but we should do our best to get good results. Following are some tips which will help you to Buy or Shop Online Securely and Safely. Search for your desired product on sites which offers a variety of Stores. Prefer to Buy from well reputable stores such as Flipkart, Infibeam, Amazon and Ebay. 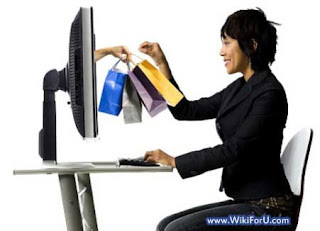 Prefer to do shopping from your personal computer with personal internet connection instead of doing so from your friend or from Cafe. Make sure that you have Updated Antivirus and Windows. Select 'Cash On Delivery' Option if it is available as in this case you have to pay on Successful delivery of your product. When entering Credit Card or Debit Card Details, make your that your connection is encrypted by SSL. This is insured by checking the Address bar for https://. The 's' with http shows that your communication to the Servers is encrypted by Secure Socket Layer. Use Virtual Keyboard if available. It greatly improves security against Keylogging. When the product arrives, Remove the Cover and check the product instantly. If you found any fractures in product or the product is not one which your ordered then fill Back Order form and post the product back to the given address in the form. The form is included in the Product Box. Note down the Contact Numbers and EMail of the Shopping Site. Contact them in case of delay in delivery. If you are not satisfied by the product then send it back if the Site offers Money Back Guarantee. Check for any trusted Signs such as 'Thawte Verified' or 'E Trust' etc on the Shopping Website.